Black Pink answered fun questions for Beats 1. Beats 1 released a preview of Black Pink's first global interview about their new release 'Kill This Love.' 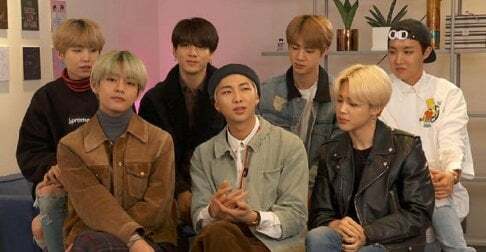 The members take turns sharing about their favorite part of visiting the United States, collaborating with Dua Lipa for "Kiss and Makeup," the rise of K-Pop music, and more. See what Black Pink has to say in the interview video above. Black Pink will join Brooke Reese on Apple Music’s Beats 1 for their first global interview about their EP Kill This Love. The girls talk about their first visit to the United States, collaborating with Dua Lipa, and the rise of K-Pop. Listen to the full special live on Beats 1 on Apple Music tonight, 4/9 at 11:00p PST / 2:00a EST. What on earth is lisa wearing?!?! She is beautiful and has an amazing body but I don't understand why the HELL they dress her up in these weird clothes.